Thanks to my employers and JMD, my maiden foreign tour was most memorable. In the first photo we see a panoramic view of the crowds at Anuga 2011, in photo two, I pose at Wuperthal, Germany; in the third photo my colleague and I pose at Zurich (Switzerland). The globalization juggernaut rolls on unstopped. It is difficult to remain isolated from the wave of globalization thanks to the ever "shrinking" world. 'Englishization' is spurring the breakdown of communication barriers. People are the same everywhere - the common interests are to have fun, be at peace, and engage in productive and progressive work. Socio-econo-emotional forces are driving global transactions. We attended ANUGA 2011 a fair for food and beverages at Kolnmesse (Germany). Oh! What an exhilarating experience. Thousands of serious delegates with suits crowding the massive exhibition halls, talking at the various booths with the company officials in the hope of latching on to something good for business: it could be an idea, a sweet deal or some inspiration to launch new businesses, the fervor of business was a memorable experience to be savored. The South Koreans are real aggressive 'tiger' marketers. Vita500 a Vit. C (500 mg per bottle) beverage promoted to doctors and end consumers - is the no. 1 drink of South Korea, they were there proudly displaying their achievements, and looking to globalize too. Another South Korean marketer promoted his sea-salt which he claimed was better to taste and had more magnesium! The other South Korean marketers were also very aggressive in their attempt to promote traditional herbs and foods on a global scale. The Chinese too were prominent in their activities - they were warm, although not as communicative as the South Koreans. The European companies were at their conservative and sophisticated best. 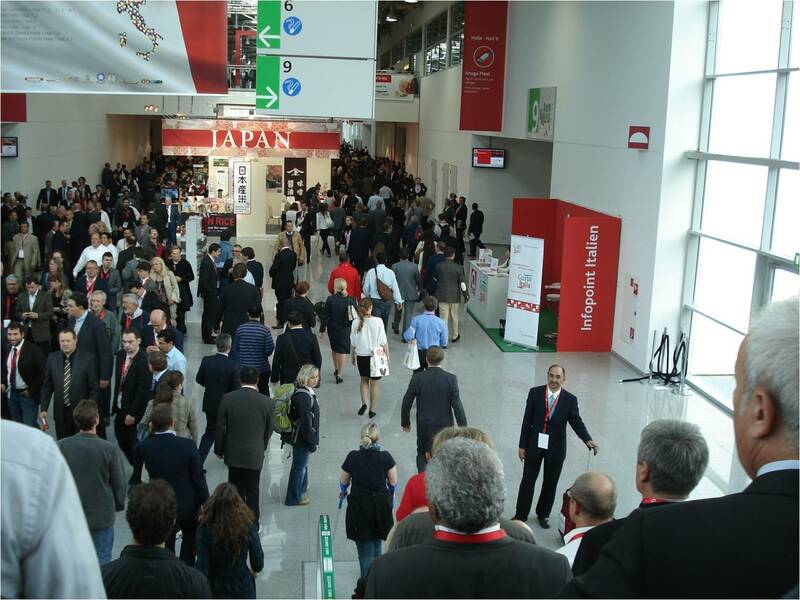 The Australians and American stalls were going all out charming booth attendees and at their professional best. The olive oil marketers including Sicilians , Greeks, Italians and Moroccans, were doing their best. The Indian stalls were charming, accommodating, not as aggressive or having significant presence - say as the South Koreans and Chinese. 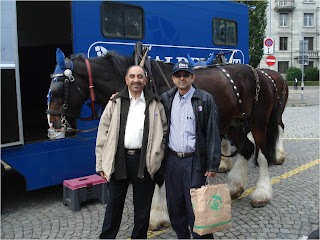 The interesting point was that most marketers having stalls at ANUGA, were all eager to do business in India. The large population and the hype on India is getting on to them, they just want to enter India! However, Indian market is a tough nut to crack! The play of price and product benefits is challenging because Indian marketers are competitive, the Indian customer is quite discerning and requires value-for-money. Indians can be quite conservative too. Germans are very organized and systematic. On the roads in Germany, compared to India, there are hardly any people. Germans are all inside the buildings and in cars. It is cute to observe that pedestrians in Germany and Switzerland, get a lot of priority from automobile drivers while crossing etc, on roads, they even stop their cars, so that pedestrians cross the roads! Further, in Europe compared to India, there is high level of consumption of liquor (beer, vodka, whiskey and wine) and smoking too (particularly young women!). The amazing thing is free education or nominal fees up to degree education, for citizens of Switzerland and perhaps Germany too. I will never forget the moment when a waitress in Switzerland said: "The tap water here is better than Italian mineral water!" In Germany and Switzerland (perhaps in other European countries too), tap water is potable! Indians are quite liked out there! We could bond easily with co-passengers, other delegates, business associates, and people who work in restaurants etc. People are also curious about India. Truly, a refreshing and memorable visit to the European continent! Thanks for reading this blogpost, kindly read all other post, scroll down if required, and click on older posts as and when required. Dear Sir, your expression of experience is great and the way is analyze the situation is fantastic. While reading your blog, for a few seconds I thought I am in German. Thank you for your informatics and interesting blog. 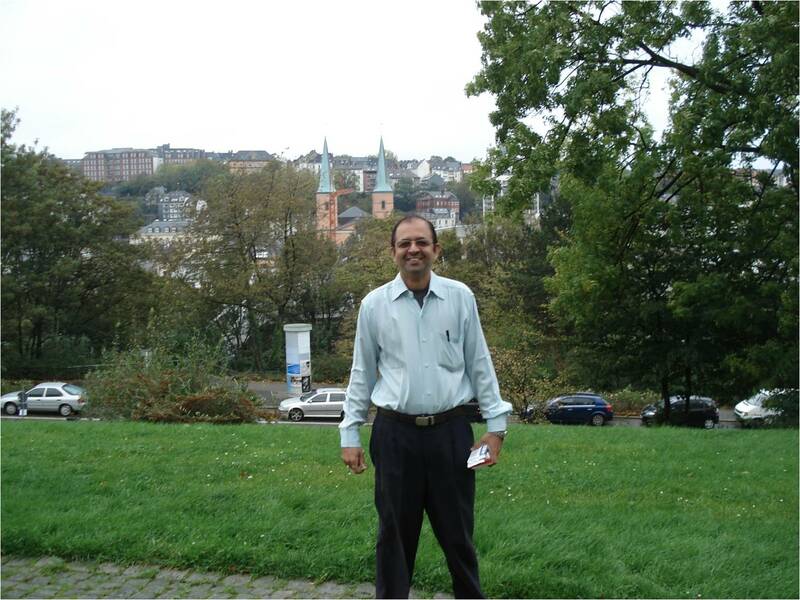 Dear Sunil, I recently came across your blog and I really enjoyed reading your 'well written' experience in Europe. Nice blog, now onwards I will keep visiting your blog very often. Anil - thanks for your kind comments, I look forward to your visits.